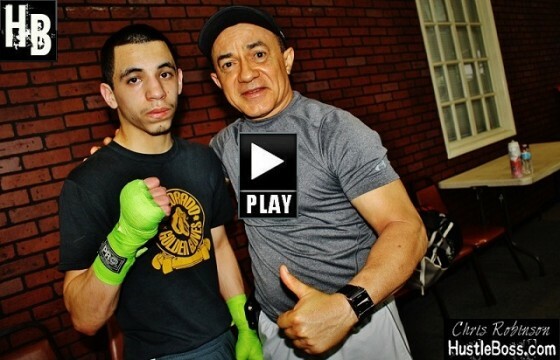 Later tonight, inside of the Masonic Temple in Detroit, Mich., 17-year old Damien ‘Sugar’ Vasquez was scheduled to make the first defense of his NABF flyweight title vs. Lorenzo Trejo. 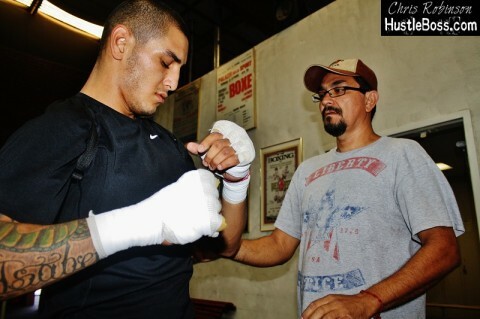 We swung through the Top Rank Gym late last month to check out Vasquez in training and he was definitely sharp, as he put in work with tough local fighter Sergio Lopez while his team of Ismael Salas, Miguel Diaz, and Richie Sandoval watched on. 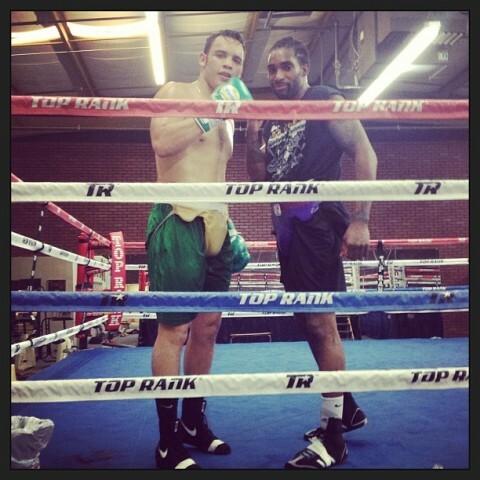 HustleBoss.com goes behind the scenes with British star Kid Galahad, as he trains inside of the Top Rank Gym in Las Vegas in early August 2014. Galahad was in the city with his stablemate Kell Brook ahead of his title-winning bout vs. Shawn Porter. 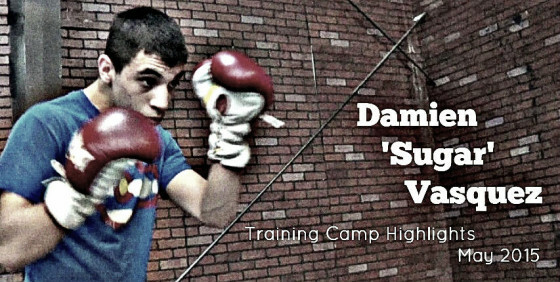 HustleBoss.com steps inside of the Top Rank Gym in Las Vegas, Nevada as undefeated flyweight prospect Damien ‘Sugar’ Vasquez (4-0, 3 KO’s) puts in work ahead of his homecoming debut in Denver, Colorado this weekend. 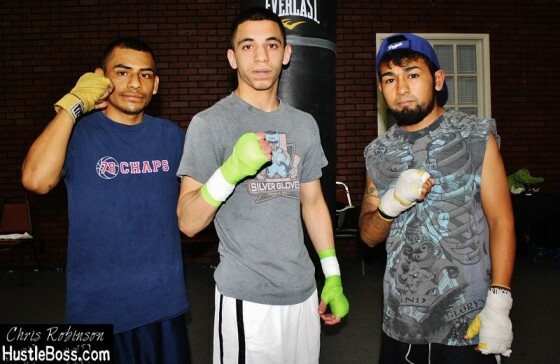 Exclusive photos from the Top Rank Gym in Las Vegas, Nevada as budding flyweight prospect Damien ‘Sugar’ Vasquez puts in some rounds with local prospect Sergio Lopez and Yosi Ramirez ahead of his hometown debut in Denver, Colorado on Aug. 16. 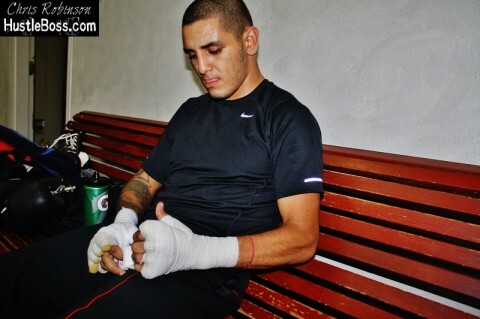 Vasquez is a familiar face to HustleBoss.com viewers and you can expect updates from his fight this weekend. 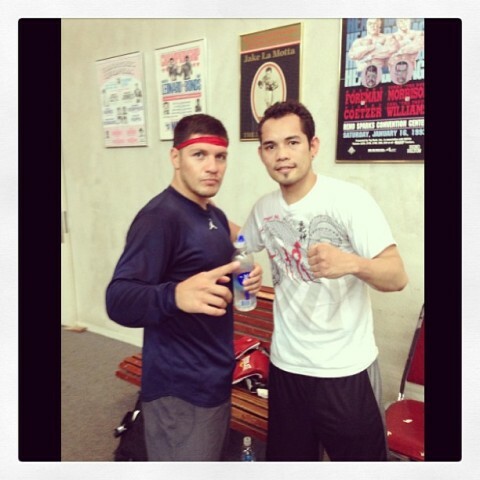 It looks like former middleweight champion Julio Cesar Chavez Jr. (46-1-1, 32 KO’s) will be finishing up his preparation for his forthcoming bout against Brian Vera (23-6, 14 KO’s) out of the Top Rank Gym in Las Vegas, Nevada. 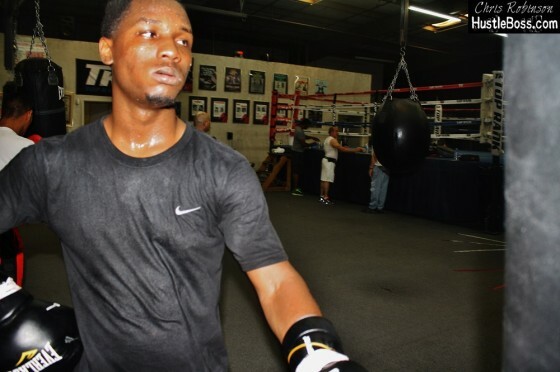 The news came courtesy of welterweight prospect Chase “Checkmate” Corbin shortly after he finished sparring six rounds with the Mexican star. Corbin has been a fixture around the Las Vegas scene for a few years after relocating from Philadelphia in late 2009. 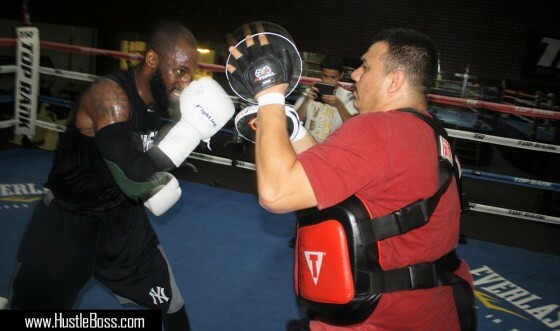 Working under the guidance of trainer Jeff Mayweather, Corbin (8-0, 7 KO’s) is a lanky boxer-puncher who has been involved in some memorable gym battles at the Mayweather Boxing Club and other locales in the city. 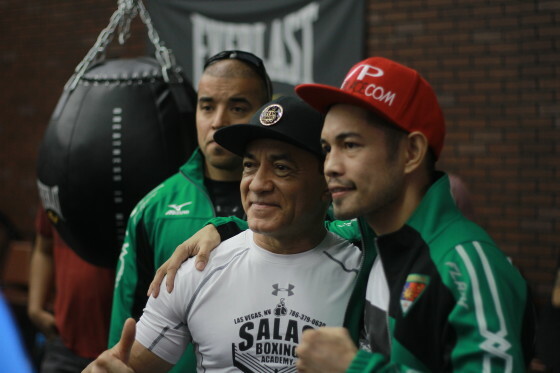 However, when sparring with Chavez, Corbin admitted that the classic bout between his fellow Philadelphian Meldrick Taylor and Julio Cesar Chavez Sr. was in the back of his mind. 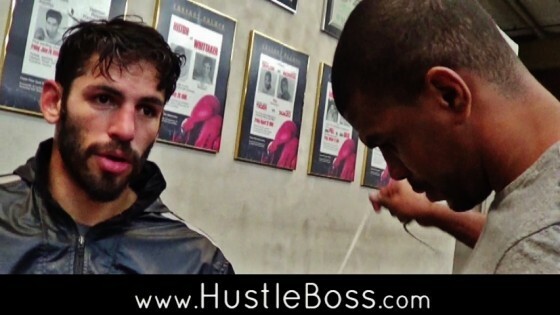 Jorge Linares wants to fight either Omar Figueroa or John Molina Jr.